Abinger Hammer is a village situated on the A25 between Dorking and Guildford in Surrey. 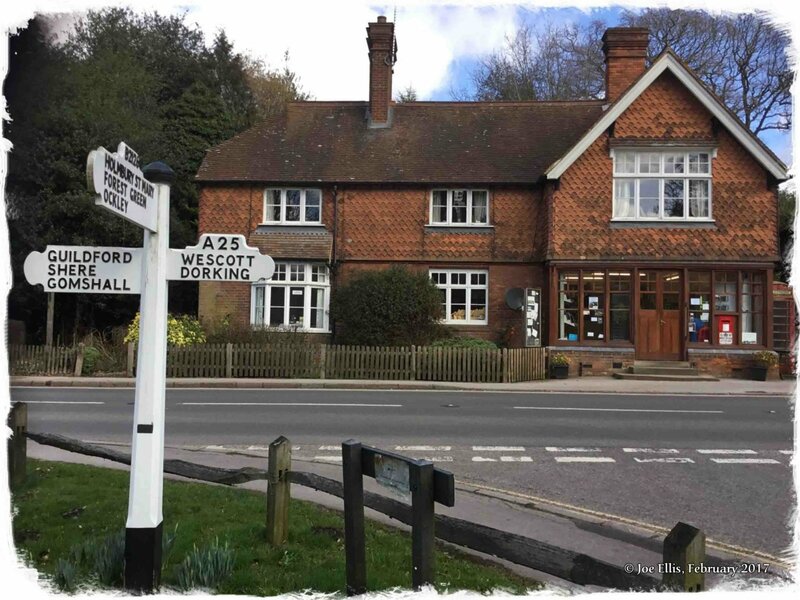 It lies within the parish of Abinger which includes Abinger Common and Sutton Abinger. Other neighbouring villages are Wotton and Gomshall. Abinger Hammer Tea Rooms formerly Annie's Tea Room is a quaint little English Tea Room that is part of the village of Abinger Hammer in Surrey, adjoined to the village shop which also sells a small selection of gifts. I was in Guildford the day before on business and decided to stay over-night to visit this tearoom which came up in my radar sometime back, as Annie's tea room. Annie still owns and works at the tea room, which has been in the village for nearly 30 years and I did have chance to meet Annie and have a brief discuss about scones and my belly-size! There are 14 chairs around 5 tables. So it is a small tea room but nevertheless an English tea room that reminds me of my late granny's dining room. Brunch, lunch, jacket potatoes, ploughman's, sandwiches, toasted sandwiches, cream teas and a small selection of cakes are offered, alongside scones, toasted tea-cakes, teas and coffees. The village itself is a stunning little village and the rooms overlook the village green and small stream. I suspect that during the summer the tea room would be quite striking on a summer's day. 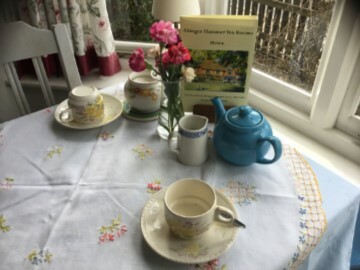 I am told by the lovely waitress that the summer months are rather busy, so I am guessing that you may have to wait a little time for a seat, unless you arrive 5 minutes before the tea room opens as I did...! I can recommend this lovely quaint Tea Room. The staff are nice and friendly, the pot of tea and tea cake fresh and I am particularly impressed by the embroidered table cloths. A tea room with tablecloths for me is what an English Tea Room is all about. Photograph taken by me at this English Tea Room.